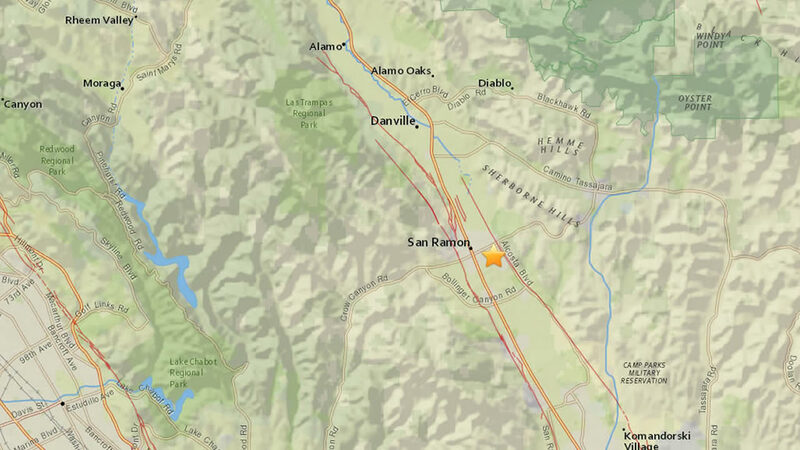 SAN RAMON, Calif. (KGO) -- A magnitude 3.1 earthquake hit San Ramon at 12:34 a.m. Saturday. There are no reports of damage. This is in the same area where an earthquake swarm occurred in October. @abc7newsBayArea Some in Alameda even say they felt a little shake from this. @abc7newsBayArea San Ramon. Boom and a shake. Lasted about 6 seconds. @abc7newsBayArea in San Ramon, very quick jolt, sharp. @abc7newsBayArea Felt small quick jolt here in San Ramon.